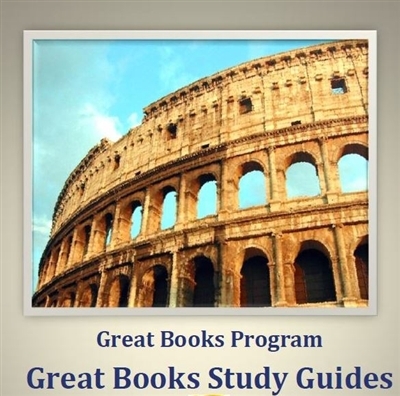 These Study Guides are meant to be a companion to the Great Books Academy’s Great Books selections [organized in the manner of a four-year, eight-semester program at the secondary or college level]. In putting it together we were guided by two principles: 1) that we approach each work on its own terms in an effort to be faithful to its meaning and 2) that we also be aware of the larger tradition out of which the work came and which sets the terms, methods, and forms of the work. We wanted to avoid inserting any beliefs or opinions of our own on the work. We also wanted to do justice, where we could, to the deeper level of meaning that comes from seeing a work in the context of the tradition—science, philosophy, history, and literature—from which it was produced. Because content, structure, and language are basic to all of the works, we devoted questions to those areas. There is a brief Summary of each work followed by suggestions of Things to Think About while reading. These suggestions flag some of the important ideas, themes, and images from the work that might be missed when a student encounters it for the first time. The Study Questions are sequenced to move the reader through the work. Some of the questions ask for details as a way of encouraging a close, careful reading while others draw attention to parallels and contrasts, significant shifts, or recurring images. Because language is the medium of books and no author chooses either his words or his form casually, there are specific questions directed to the language and structure of each work. The Reflection Questions assume the work has been read and are meant to help the reader begin to pull it together as a whole. In addition to belonging to the canon of Western thought –the Great Conversation as Robert Hutchins called it – each individual work is a part of a living tradition, so, whenever possible, questions have been included that place the work in its historical context and that look back to the tradition out of which it emerged to help the student recognize the ways in which works speak to each other. The questions are by no means exhaustive and, with the exception of some of the detail questions, they are not asked in a spirit of evoking one-word right or wrong answers. They are intended to enhance an understanding of the work by provoking thoughtful consideration of the text and opening further lines of questioning. Anyone may purchase our Great Books Study Guides, enrolled or not. Robert Alexander, Ph.D. Literature and Politics: Robert went on to a Master’s degree at UCLA and following a year’s National Endowment for the Humanities Fellowship at the University of Illinois took his Ph.D. in Literature and Political Philosophy from the University of Dallas. He has taught at John Cabot University in Rome; the University of San Francisco, St. Ignatius Institute, and taught Literature at the College of Notre Dame for 17 years and has received a number of prestigious fellowships over the course of his teaching career (classical Greek and French), and after trying early retirement, he returned to teaching at Magdalen College, New Hampshire where he ventured beyond literature and taught the Great Books for four years. He returned to teach in the Literature program at the University of Dallas. 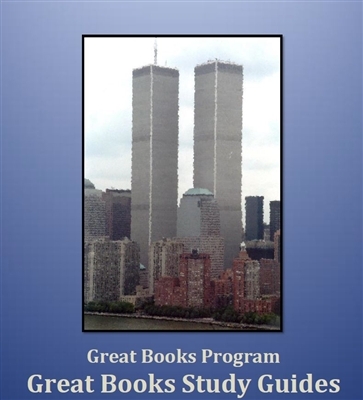 The Great Books Study Guides took Dr. Alexander approximately four years of diligent research and writing to complete. Suzanne Alexander: Robert and Suzanne Alexander met while they were undergraduate English majors at the University of California at Berkeley. An accomplished writer and a life-long lover of literature, she was glad to turn her talents to the Great Conversation that is the study of the Great Books. 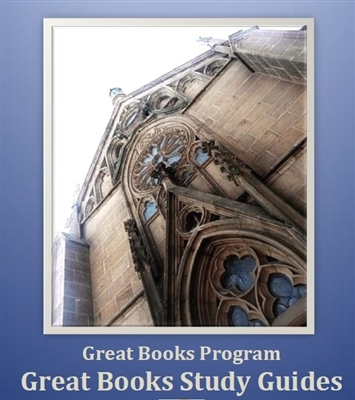 The Great Books Study Guides are Robert and Suzanne’s first professional collaboration together. Joseph Pearce: Joseph is the Writer-in-Residence and Associate Professor of Literature at Ave Maria University. Mr. Pearce has published numerous books on the great Christian intellectuals including J.R.R. Tolkien, C.S. Lewis, Hilaire Belloc, G.K. Chesterton, and Oscar Wilde, to name but a few. Several of his books have won literary awards. He lectures widely around the United States and Europe on many topics and has published numerous articles. He is the Co-Editor of the St. Austin Review and the Editor-in-Chief of Sapientia Press and of the Angelicum Great Books Study Guides. Peter A. Redpath, Full Professor of Philosophy at St. John’s University: Dr. Peter has received numerous awards and honors for his work in philosophy and was elected to the Board of Trustees of the Institute for Advanced Philosophical Research in 1988. He has made over 100 public program appearances on philosophical topics in the U.S. and Europe and has authored numerous books, monographs, and published articles; and has edited various philosophy books. He was a member of the Board of Editors of Editions Rodopi and is Chairman of the Board of the Ignatius-Angelicum Liberal Studies Program, the Chairman of the International Etienne Gilson Society and of the Angelicum Academy, as well as a Director of the Great Books Academy Homeschool Program. Dr. Redpath, extensively edited the Great Books Study Guides dealing with philosophical topics from the Platonic Dialogues through Aristotle, Cicero, St. Thomas Aquinas, Maimonides, Galileo and Darwin. Curtis Hancock, Ph.D. Philosophy: Curtis holds the Joseph M. Freeman Chair of Philosophy at Rockhurst University. Dr. Hancock has authored four books on philosophy, dozens of published philosophical articles and co-authored two novels. Dr. Hancock is a Director of the Angelicum Academy and the Great Books Academy and is a member of the Boards of Councillors of the Ignatius-Angelicum Liberal Studies Program. 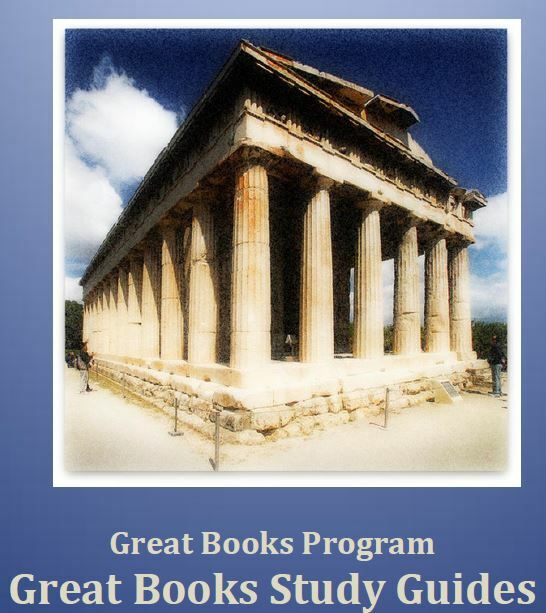 Dr. Hancock extensively edited the Great Books Study Guides for the Pre-Socratics, Hippocrates, Archimedes, Nicomachus, Lucretius, Euclid, Marcus Aurelius, Epictetus, Plotinus, Boethius, Augustine, and Freud. Tom Michaud, Ph.D., Dean, School of Professional Studies, West Liberty University, West Virginia (WV), USA: Tom received his Ph.D. from Marquette University and his B.A. from Fairfield University. Dr. Michaud specializes in Philosophy of Political Economy, Logic, Modern/Contemporary Philosophy, Business/Professional Ethics, and Philosophy of Sports. He has been teaching in higher education on the undergraduate and postgraduate levels for over 34 years, which includes special fellowships and lecturer appointments at universities in Western Europe (Smith Research Fellow, Husserl Archives, Catholic U. of Louvain, Belgium), Eastern Europe (Rev. Woroniecki Memorial English Language Lecturer in Philosophy, John Paul II Catholic U. of Lublin, Poland), and South America (Senior Fulbright Lecturer, Federal U. of Rio de Janeiro, Brazil). He also has published more than 30 academic articles and reviews, as well as five custom course texts, including The Virtues of Business Ethics. His work in the thought of Gabriel Marcel can be found in various journals and anthologies, in particular special volumes he edited of the American Catholic Philosophical Quarterly and the Journal of Philosophy in the French Language. Over the past 25 years, thousands of participants have attended his seminars and training programs in Business Ethics and Organizational Leadership, which have been presented at major US corporations, non-profit organizations, professional associations, civic groups, government agencies, and Duke University’s MBA program. Dr. Michaud is a member of the Board of Councilors of the Ignatius-Angelicum Liberal Studies Program and edited the Angelicum Great Books Study Guides including those for Machiavelli, Montaigne, Bacon, Hobbes, Descartes, Pascal, Locke, Hume, Rousseau, The Federalist Papers and US Founding documents, de Touqueville, Mill, Kant, Goethe, Hegel, Smith, Marx, Thoreau, Martin Luther King, Einstein, T.S. Eliot, Huxley and Geo. Orwell. James S. Taylor, Ph.D., Jim was a friend and then colleague of the founders of the acclaimed Pearson Integrated Humanities (IHP) at the University of Kansas – Drs. John Senior, Dennis Quinn and Frank Nelick – Dr. Taylor has been a teacher of English and American Literature, Western Civilization, and Philosophy of Education at Hillsdale College in Michigan and at Tulsa University, for over twenty years and authored Poetic Knowledge, The Recovery of Education. Dr. Taylor is a member of the Board of Councillors of the Great Books Program and is an experienced moderator of online Socratic, Great Books discussion groups. Taylor was awarded the Paideia Prize for Lifetime Achievement in Education in 2007 by The Circe Institute, founded in 1996 to promote and support classical education in the school and in the home. Dr. Taylor selected, and composed some of, the poetry selections which accompany the Great Books Study Guides. Stephen F. Bertucci: Steve is Dean of Online Programs of the Great Books Program. After attending Dr. Mortimer J. Adler’s last Socratic discussion groups in 2000 AD, Mr. Bertucci co-moderated the first live-audio Socratic groups online (2000 AD) and at literally thousands of online groups since, as well as at Great Books evening programs in Seattle. He has been a speaker on online and homeschool education topics at various conferences in the US. and Europe. Mr. Bertucci edited the Great Books Study Guide on President Lincoln’s speeches. Matthew Levering, Ph.D.: Matthew is Professor of Theology at the University of Dayton. Before arriving in Dayton he taught for nine years at Ave Maria University. In 2006-2007 he was the Myser Fellow at the Center for Ethics and Culture at the University of Notre Dame and is Chair of the Board of the Academy of Catholic Theology. In addition to being the co-editor of the theological quarterly Nova et Vetera, Dr. Levering has authored a number of books including: Christ’s Fulfillment of Torah and Temple, Scripture and Metaphysics, Sacrifice and Community, Participatory Biblical Exegesis, Biblical Natural Law, Ezra and Nehemiah, and Christ and the Catholic Priesthood. Dr. Levering is also the co-author of Holy People, Holy Land and Knowing the Love of Christ and co-edited Vatican II: Renewal within Tradition, Rediscovering Aquinas and the Sacraments, Aquinas the Augustinian, Reading John with St. Thomas Aquinas, and John Paul II and the Jewish People. Additionally, he has published numerous articles and reviews. Dr. Levering edited the Great Books Study Guide on Genesis. Patrick S. J. Carmack, J.D. : Patrick is President and founder of the Great Books Academy. After earning his Juris Doctorate, he completed numerous additional courses in psychology and philosophy. A former administrative law Judge at the Oklahoma State Corporation Commission, member of the U.S. Supreme Court Bar, former CEO of an independent petroleum exploration and production company, founder and former Chairman of the International Caspian Horse Society, Mr. Carmack is President of a non-profit educational foundation and Executive Director of the Ignatius-Angelicum Liberal studies Program. Mr. Carmack participated in Dr. Mortimer J. Adler’s last several Socratic discussion groups in Maryland and California in 1999 and 2000, respectively, and co-moderated the first live-audio Socratic groups online (2000 AD) and numerous online groups since, as well as at Great Books evening programs in Seattle. He has been a speaker on educational topics at various conferences in the US. and Europe. He is the recipient of the 2009 International Etienne Gilson Society’s Pope John Paul the Great Thomist Humanist Award for his work in education. Mr. Carmack realized the need for the Great Books Study Guides, and has co-edited many of them.